Healthcare is now practiced in a different financial and delivery system than it was two decades ago. Currently managed care defines what is treated, how, by whom and for what reimbursement. Mental health professionals have been greatly impacted by these changes to their practice, and yet, there is little understanding of exactly what it is and where it is going. The present volume explores these issues, prospects and opportunities from the vantage of mental health /medical professionals and managed care executives who are in the very process of implementing changes to the existing system of managed care. Behavioral healthcare will be integrated into medical practice in the future for sound clinical and economic reasons. 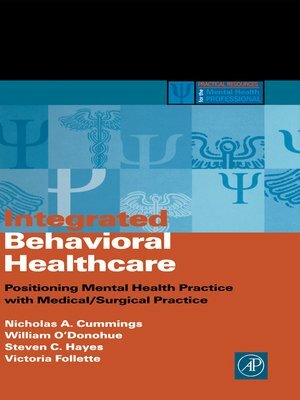 The present volume, edited by four prominent mental health professionals provides a roadmap of the emerging directions integrated behavioral healthcare is taking and lays out the steps the mental health professional needs to take—in training, and modifying her/his clinical practice—to adapt to the new system of healthcare.